Dr. Robert E. Gustafson, Jr. 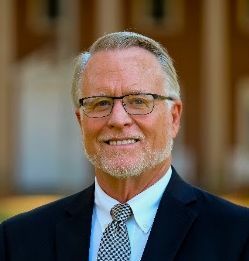 The Erskine Board of Trustees has announced the selection of Dr. Robert E. Gustafson, Jr. as interim president. Gustafson will begin his service Nov. 1, immediately following the retirement of Erskine President Dr. Paul Kooistra Oct. 31. Gustafson served as head of school from 1997 to 2012 at a Christian boarding and day school, the Stony Brook School, Stony Brook, NY, where he was responsible for oversight of a $9 million annual operating budget and more than 100 faculty and staff members. His accomplishments at Stony Brook include working successfully to balance the budget and enlarge the endowment; recruiting a strong national faculty and raising faculty salaries; setting and surpassing goals for increasing the school’s percentage of Advanced Placement scholars; developing and for 10 years teaching a worldview course for seniors; and helping to develop a strong college counseling program. Prior to his tenure at Stony Brook, from 1992 to 1997, Gustafson was head of school at Jackson Preparatory School, Jackson, MS, a day school with more than 800 students in grades 7-12. He led the school through a transition from for-profit to non-profit status and also recruited the first minority teacher and board member. Board of Trustees Chairman Sam James ’07 of Huntersville, NC, is enthusiastic about the interim president. Gustafson was educated at the University of Virginia, Charlottesville, VA, where he received the bachelor of arts degree in religious studies; Gordon-Conwell Theological Seminary, South Hamilton, MA, where he was awarded the master of theological studies degree; Columbia University Teachers College, New York, NY, where he was the recipient of a Klingenstein Fellowship Grant and earned a master of arts degree in educational administration; and Erskine Theological Seminary, where he received a doctor of ministry degree. Married to Marjorie Graham Gustafson, Robert Gustafson is the father of two children.